Dear Santa Please May I Have A Dynavector 10x5 for Christmas. Christmas is coming and top of my list for Santa is a new cartridge. It should easily fit into his sack and will bring a new lease of life to all records I'm going to be playing over the Christmas period. Dynavector are a Japanese company who have been making cartridges for over three decades. They are innovators in cartridge technology. For instance their latest advancements are what they call magnetic flux damping and softened magnetism technologies, designed to get rid the sound of any harshness and edginess, these are both patented designs. One of the cartridges that uses this technology is the 10x5 moving coil. Moving coils are said to be better sounding than their moving magnet counterparts due to the coil at the end of the cantilever being lower in mass than if it were a magnet allowing it to react faster to the grooves in the record. 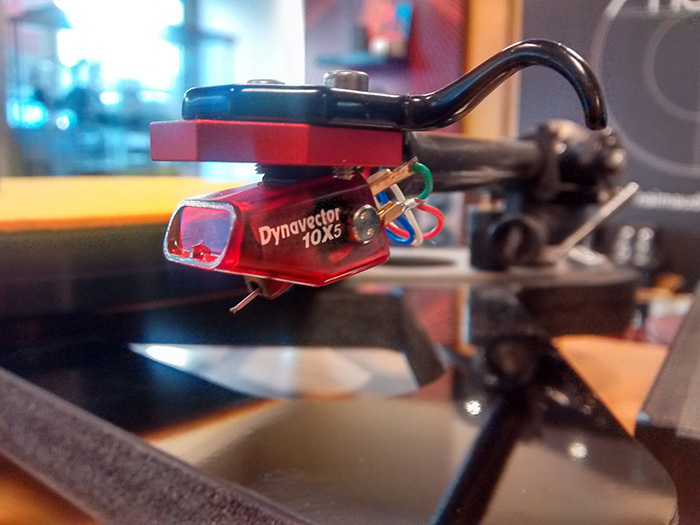 Now if you currently own a moving magnet cartridge and wanted to try a moving coil, but didn't want to go to the expense of buying a moving coil phono stage, then the 10x5 is perfect for you. It's a high output design so, this great sounding cartridge works with moving magnet phono stages. Listen to it on an Rega RP3 previously fitted with a Rega Elys cartridge and you would be forgiven for thinking you had changed the turntable itself. The sound stage opens up and the music comes alive. You can clearly hear differences that more than justify the extra cost. Dynavector have a range of cartridges starting with the 10x5 at £379 going up into the thousands. If you need any information on others in this range drop us an email or call us. I'm hoping Santa thinks I've been a good boy and my Christmas wish comes true.